There are so many LEGO games out on the market — so, so many. 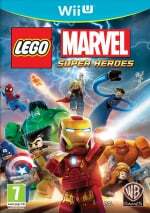 Yet we seem to keep wanting more, possibly because in the majority of cases they're a lot of fun, and LEGO Marvel Super Heroes looks set to be a big release this Fall; versions will grace the Wii U, 3DS and DS. With the E3 madness now well underway, the TT Games-developed title is one of the first to break cover with a shiny new trailer. 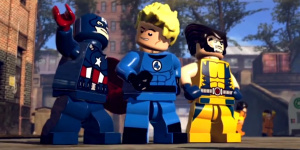 It looks like standard LEGO fare, with wacky humour, plenty of punchlines and those iconic running animations. The Marvel universe looks like it'll be a lot of fun, with characters such as Wolverine, The Hulk and Iron Man pushing the boundaries of awesomeness with very little effort. I love the Fantastic Four! Deadpool in a lego game can only be good. Yeah, WiiU game. Really looking forward to this one. Buying day one for 3DS. Wait a minute! This is coming out for Nintendo DS too?! Yes! Another lego game to add to my WiiU collection. I havent gotten a lego game since star wars 2 but this looks amazing. Its been awhile since I played a Lego game not counting Lego City. This one looks good enough that I just might have to pick it up. Besides it has Deadpool in it can't go wrong with that. Interesting that Nintendo eShop is listed along the different consoles as though it was a platform itself. I got a rough start in the Lego franchise with Indiana Jones for the DS some years ago, which I though was supremely 'meh'. Haven't touched another one since, but I'll soon get Lego City Undercover for my Wii U. Depending on how that goes, this may be a buy for me. Wii it be online coop for the WiiU? There has been a Lego Set with the exact same Wolverine out for over a year now. @ricklongo Yeah to be honest, LEGO games usually aren't too good on mobile devices, like the DS. They're always much better on actual home consoles. Got it reserved for my 3DS... I have a strict rule on Lego Games.. no heroes.. no buy.. my first Lego game was Lego Batman on the DS and I loved it.. (Well actually Lego Batman 2 Demo I loved it) I loved Lego Batman.. I liked Lego Batman 2.. I was disappointed with it.. (No villains mode.. and why could it not play more like the Brave and the Bold.. where Batman teams up with a different hero every level or two) It was still good.. and I hope this one will be good too..
May I have this game now? Still waiting to see how the Guardians of the Galaxy look! I know they were confirmed a while back. Sincerely, after watching competitors e3 games, this game does not excite me at all. Very keen for this, but I do need to play through Batman 2 first! this coming on so many Nintendo consoles (wonder why not on Wii) shows the strength of sales on Nintendo consoles, and the ingenuity of some publishers who are not EA and other losers. @cyrus_zuo well, it is. I guess it means the game is not released digitally on the other consoles, only on Wii U. 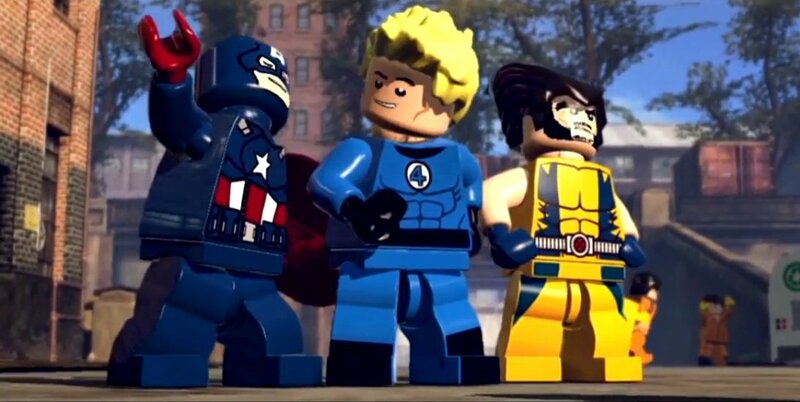 The Human Torch being so prominent is a pleasant surprise.